As a consistent top producer in Max Broock’s President’s Council of Excellence and privileged member of MCAR (Metropolitan Consolidated Association of Realtors), and NAR (National Association of Realtors), Jan has continued to reach the pinnacle of success in listings, sales, and customer service. Jan is a committed and passionate real estate professional who prides herself on putting her client’s satisfaction above all else. 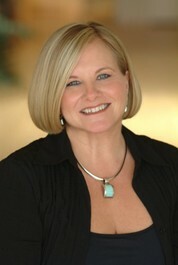 Her determination and attention to detail allows her clients to receive first class service with the utmost integrity. Ultimately, the relationships Jan builds with her clients guarantee her buyers immediate access to hundreds of the newest properties on the market each day, while also enabling her sellers’ exposure to a huge network of buyers from other firms across the country. To Jan, being a Realtor means much more than selling homes. Being your Realtor means finding your hopes and dreams through a strong foundation of trust, knowledge, and expertise. Jan’s dedication to her clients places her in the top 1% among 1 million realtors across the country. Her 30 years of real estate experience allows her to bring a unique knowledge which ensures her clients best interests are always at heart. Jan is a lifelong resident of Oakland County and currently resides and has lived in Sylvan Lake for 28 years.